One of the nation's biggest homebuilders is putting its top executive on notice after a vulgar rant against comedian Kathy Griffin was caught on tape and went viral. 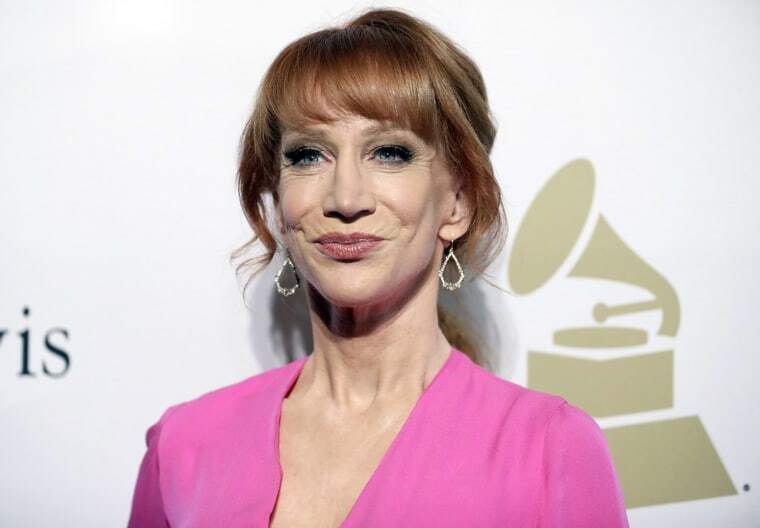 KB Home CEO Jeffrey Mezger, who is a neighbor of Griffin's in California, was recorded by a security camera hurling slurs against Griffin while in a heated argument with the comedian's boyfriend. Mezger was angered after Griffin or her boyfriend complained to police over a family get-together at Mezger's house. KB Home said in a regulatory filing Thursday that while Mezger has been "a great leader," his behavior was unacceptable and that he would be fired for any similar incidents in the future. It also cut his annual bonus by 25 percent. There were apparently a number of complaints since the couple moved in to the house beside Mezger's. Griffin and her boyfriend, in the incident that preceded the taped confrontation, appear to have called police over noise made by children playing in a backyard pool. There has been some backlash against the executive since the vulgar, two-minute outburst was first aired by HuffPost. TV host and financial adviser Suze Orman wrote on Twitter this week, "Disgraceful talk from the CEO of KB HOMES. You really want to buy a home from this man? Beyond Disgusting!" KB Home and Mezger did not immediately respond to a request for comment. How much the incident will cost Mezger, who has been CEO since 2006, isn't clear. He was paid $9 million last year in salary and stock awards, but he hasn't received a bonus since 2014. In that year, Mezger received a bonus of $125,000.